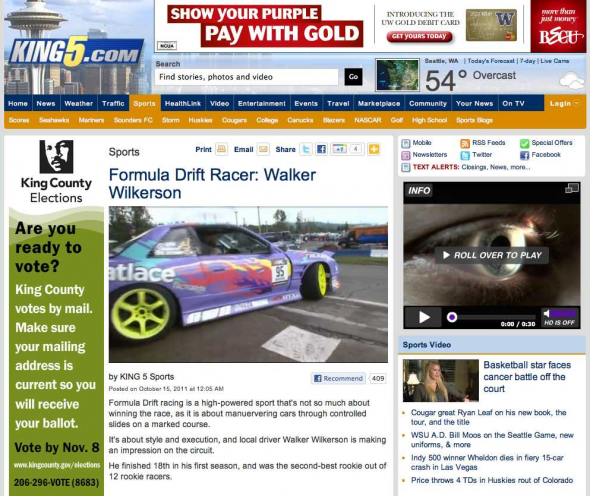 Walker Wilkerson was recently featured on Seattle’s King 5 Sports News. CLICK HERE to check out the full article and video. Congratulations to Nik Jimenez for taking top qualifier in Evergreen Drift ProAm presented by NOS Round 3. Tomorrow the drivers will face off for the top 16 tandem eliminations at Evergreen Speedway in Monroe, WA starting at 1pm.